This striking (and portable) statement piece also provides a resting spot for your favorite cocktail, book, or magazine. 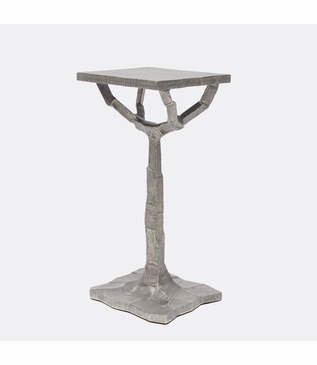 Inspired by the architecture of Gaudi, this sculptural cocktail table's branch-like base puts a natural spin on contemporary design. 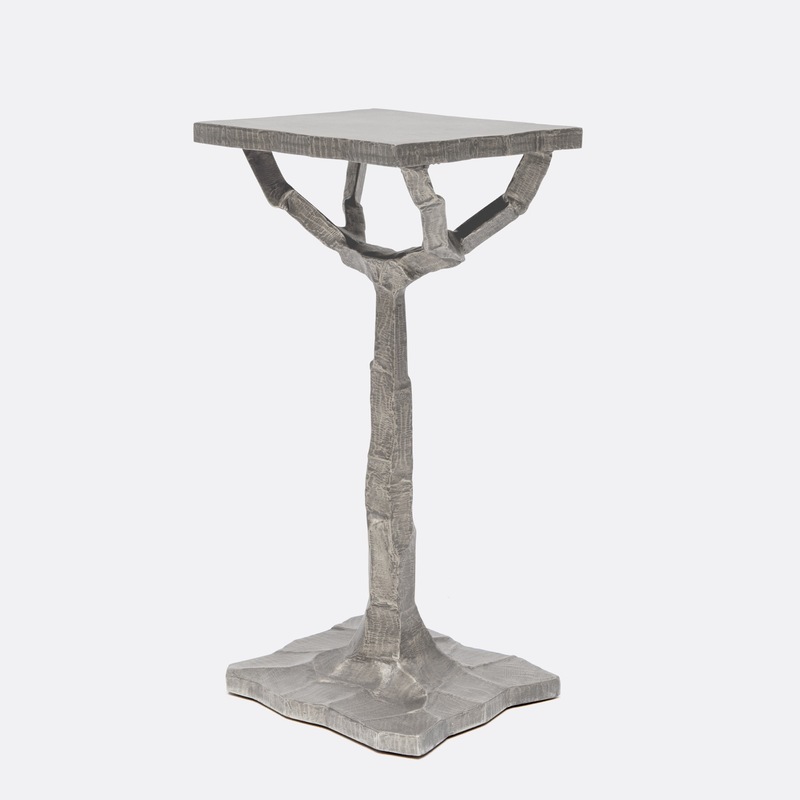 Shown in an antiqued silver finish. Also available as a side table. Size: H: 24" • W: 10" • D: 12"